Jean-Louis Pierre Cardinal Tauran is a member of Opus Dei who spent 13 years as Secretary for Relations with States, the Vatican's "foreign minister". Two of his talks are summarised below. ♦ In a talk given the year before he retired, the Vatican's top diplomat seems to be trying counter the See Change campaign begun in 1999 by Catholics for Choice to question the Holy See's privileges at the UN as a country. He actually tries to justify the international status of the Church by appealing to its own Canon Law. In other words, Vatican presence on international bodies has nothing to do with its territory (which it once lost), but is due to God's will ― and is therefore eternal. 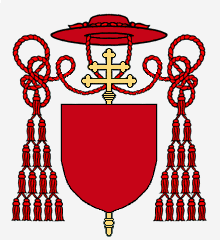 ♦ Tauran also tries to defend concordats in his maiden speech as cardinal, on his retirement in 2003 from the Vatican diplomatic service. He points out that the big legal divide is between those countries considering religious organisations to be like any other group, and those which give them quasi-governmental status. In countries with separation of church and state, "religion falls under private law, (USA, France)". But in countries which lack this tradition, "the main religions denominations are set up as 'public corporations' with the possibility of [concordats], (Germany, Austria, Croatia, Spain, Italy, Poland, Portugal, Slovak Republic)". Here the Cardinal implies that concordats help ensure "human rights" (which for the Church tends to mean "freedom of religion"). However, in actual fact concordats can threaten them, as the EU human rights lawyers have warned. Furthermore, he doesn't mention that concordats are not needed to guarantee conscientious objection, since this right to object ― and not just to object as a Catholic — has been guaranteed by European law since 1950 (ECHR, Article 9.2) And finally he says that the purpose of concordats is to assure "the health of the soul", which, of course, happens to be whatever the Church says it is. Next the Cardinal tries to show how useful the Church is to the state, implying that without the Church citizens would lack a conscience (a claim many would find insulting), and failing to mention that the Church demands state subsidies in order to fulfil its “mission” to deliver social services. "The state also has a big stake in this collaboration: the Church forms the conscience of the citizens, respects the principle of its legitimacy and is committed to solidarity and patriotism. It also helps the state in its mission to serve the public (schools, hospitals, etc.)" The Cardinal then admits why the Church needs concordats: they have the force of international law and this effectively removes Church privileges from democratic control. "It is true that through accords with the public authorities, local churches can assure the guarantee of certain of their rights. But the fact remains that these agreements are subject to local law and therefore will always be fragile, insofar as they are dependent upon the hazards posed by the political regimes or parliamentary majorities of the future." Later on in his talk the Cardinal emphasises once more that putting these agreements under international law removes them from democratic control or, as he puts it "shields them from any arbitrariness of succeeding governments". ♦ freedom of [doctrinal] instruction. These may sound like harmless generalities, intended merely to ensure that the Church is free to operate in the open. However, combine “freedom of ecclesiastical jurisdiction” with “fiscal remuneration” — and you can end up with Church control of schools, hospitals and other social services that are subsidised by the taxpayers. This is the situation in Church-run social services in Germany. Or combine the last two on the list — and you can end up with the Church saturation of the media. This is the stated aim of the Bishops of Slovakia — who are making a pretty good job of it. 2. Jean Louis Tauran, "Rapports de l'Eglise catholique avec les Etats. Principes et modalités", Conférence des évêques de France, 5 November 2003.